Las Vegas – Liziane Gutierrez, the woman who claims Chris Brown punched her in the eye while at the Palms Casino Resort in Las Vegas, has filed a lawsuit against the singer, according to TMZ. Gutierrez, who filed her suit in Clark County, Nevada, is suing for battery, theft and defamation. She claims that her cell phone was stolen during the purported altercation and that she was defamed when Brown posted a video saying she was “too ugly” to attend his party. Brown has been cleared of criminal wrongdoing in the case. 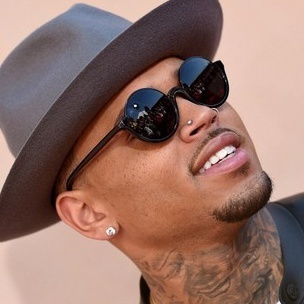 Singer Chris Brown planning to sue woman who claims he punched her. According to TMZ, Chris Brown will soon file a defamation lawsuit against Liziane Gutierrez, the woman who claims the crooner punched her in the eye while at the Palms Casino Resort in Las Vegas. Gutierrez’s alleged encounter with Brown doesn’t serve as the first time the woman has had an ill experience with a celebrity. Last August, TMZ captured video of Gutierrez following Jason Derulo to his car, and later complaining when she was unable to join the singer and the other women in his vehicle. In addition to filing a defamation suit against Gutierrez, TMZ reports that Brown also plans to tighten up when it concerns those around him. The singer reportedly plans to get rid of those who are inviting random women around.